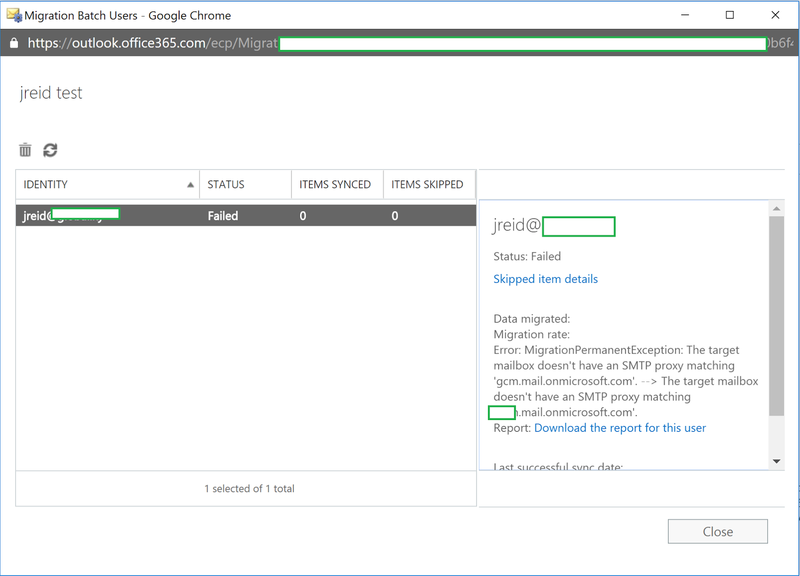 Ryan Betts, Cloud Solutions Architect: Office 365 Patch Migration Fails with "Error: MigrationPermanentException: The target mailbox doesn't have an SMTP proxy matching "mail.onmicrosoft.com". The target mailbox doesn't have an SMTP proxy matching". 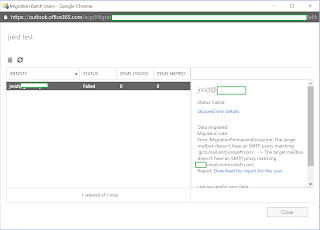 Office 365 Patch Migration Fails with "Error: MigrationPermanentException: The target mailbox doesn't have an SMTP proxy matching "mail.onmicrosoft.com". The target mailbox doesn't have an SMTP proxy matching". When you try to run a migration batch job it fails with "Error: MigrationPermanentException: The target mailbox doesn't have an SMTP proxy matching "mail.onmicrosoft.com". 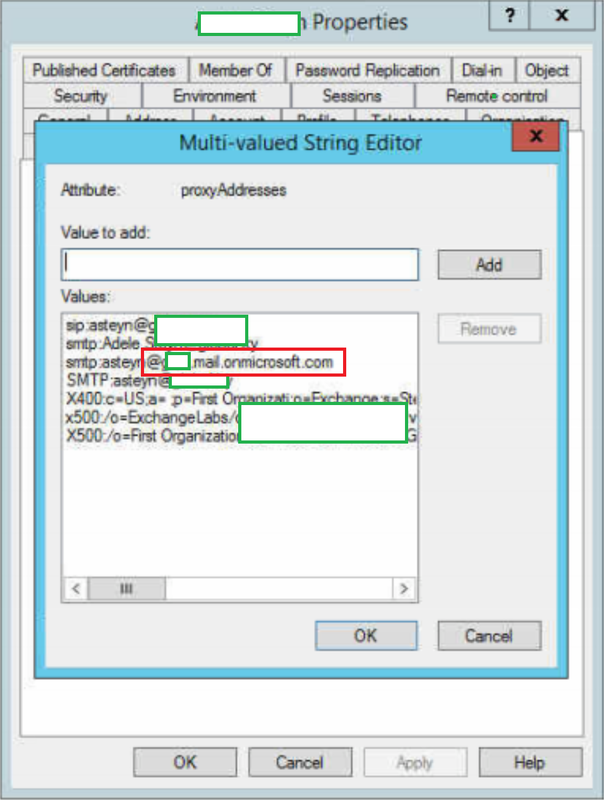 The target mailbox doesn't have an SMTP proxy matching" this is because DirSync has not added the target Office 365 SMTP domain as a proxy address. If you open the problematic user with Advanced Features click on Attribute Editor from the Properties window and find the proxyAddresses attribute. Ensure that there is an SMTP address for your Office 365 namespace. Ensure SMTP is in lower case or it will be treated as the primary SMTP address for that user.